The biscuity-gold squares are mostly from the Moda scrap packs I bought the other week, the cream background is a combo of the Moda Snow and cream-on-cream Cold Spell layer cakes (I figured they were so close in colour that I might as well pretend that they were the same), and the floral bits of the chains are about half a strip roll of floral prints that my aunt and uncle brought me back from the ‘States as a present. Other than the overall layout of cream background, gold frame and floral chains, there was no particular piecing plan beyond “try not to put two squares of the same floral print directly next to each other (corners don’t count)” – this was a real absence of mind effort! For all that, I am rather fond of it. 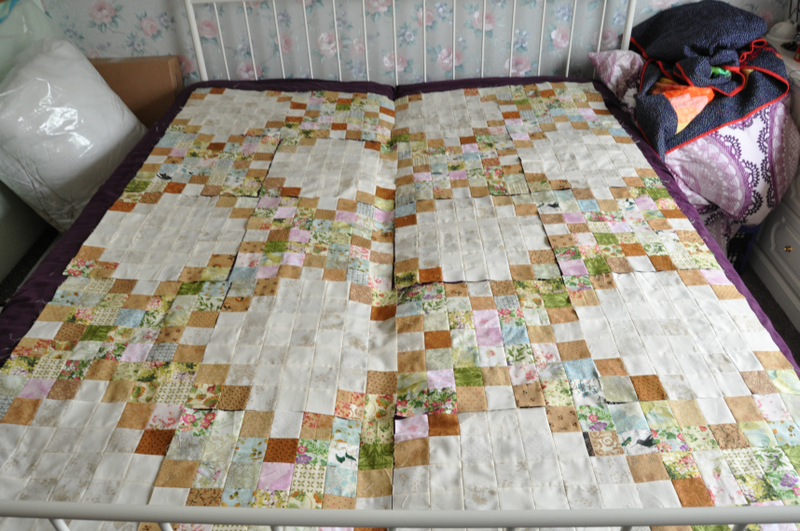 Although I put this together with the idea of giving it to my aunt and uncle who so kindly hosted us when we were between houses and helped so much with the commission quilt I had to do, I’m not sure it’s really them. I think it needs a border, though, so I shall give it one and listen to see if it tells me where it wants to live. 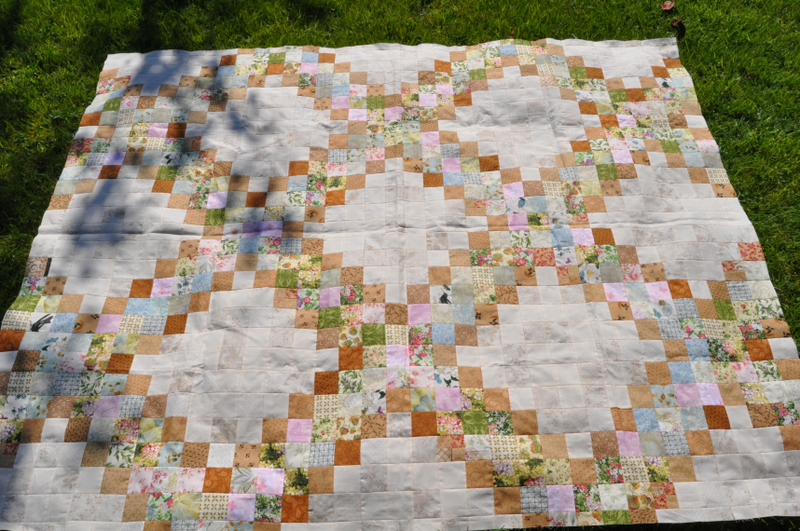 🙂 For quilting, I’m thinking something fairly simple – maybe cross-hatching on the cream background and a sort of viney flowery FMQ thing along the chains. Gotta source/piece a back first though! And find somewhere suitable to pin-baste it – now that’s the HARD part. Saw this on Oh Scrap…it is simply wonderful. I love your colors….very peaceful and shabby chic. I like it a lot, the bits of blue & pink add a little ‘spark’ ! And I really love the way you popped in a few 4 patches! 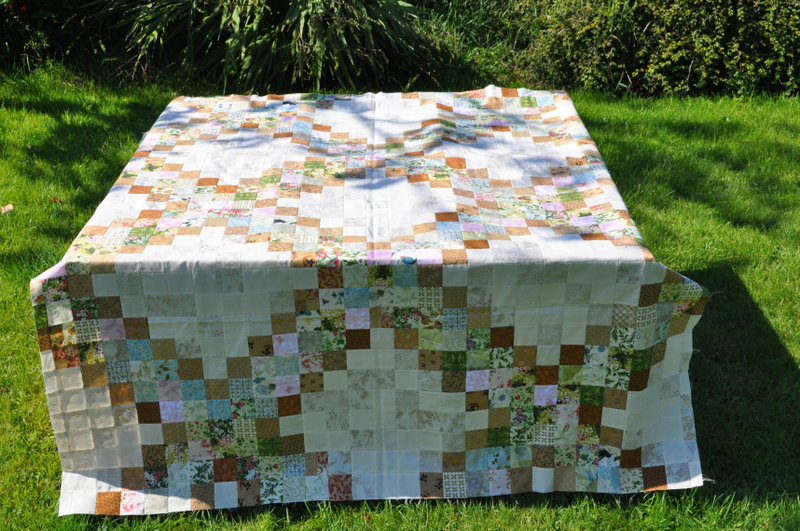 What a very successful quilt top! Your choice to even out the layout was a stroke of genius, I like it much better. 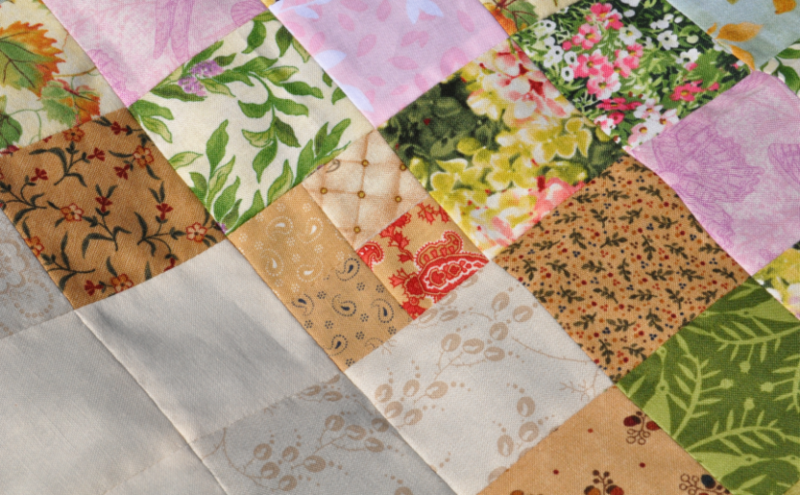 I love Irish Chain quilts and yours is really lovely. Thanks for sharing with Oh Scrap! Found you on ‘Oh Scrap’. It’s beautiful! I think it’s a very romantic cottage look, and a border will be a nice finish. I can’t decide what color I would use, though, so will look forward to seeing what you find works out best. I love the low volume background with the colors of your chain pieces! So pretty and peaceful! 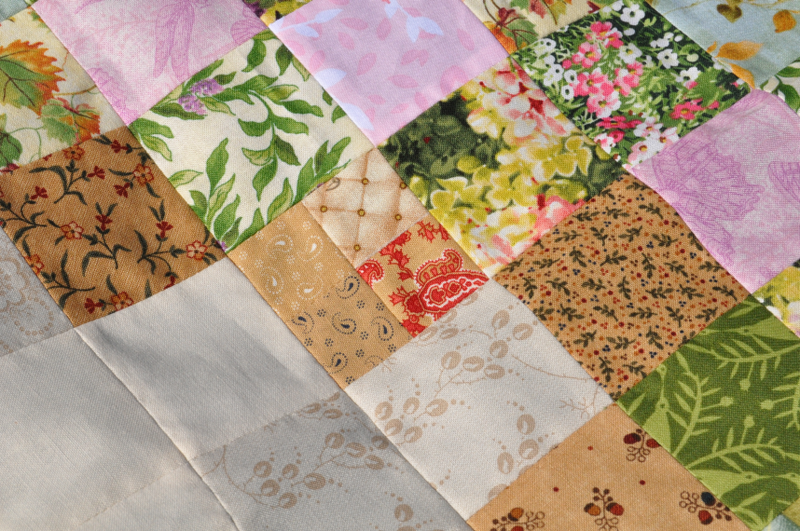 I have also had that experience with a quilt where I didn’t know quite where it belonged until it was almost done. I’m sure you will find the right home for it! Next Next post: Sssssssssss………… BOOM!